We are in the process of moving! Please visit www.mysticmanuscripts.com for our new site. A publisher or agent suggested you contact a "Book Doctor" before they'll consider your manuscript. You are a published author, but you want to write a "breakout novel". You're depending on a term paper worth most of your grade. You're wading through a thesis paper, and the pesky ALA format is driving you crazy. You are a business owner and need a professional business information package. You have great ideas, but need a ghost writer to write your story ideas, blog entries, etc. Whatever your need, my services can assist any writer, student, and/or business owner. All packages include in-document editing as well as a FREE detailed report summarizing the projects strengths, areas of concern, and specific writing advice applicable to the project. Check out my FAQ page for loads of common questions. Contact me at mysticmanuscripts@gmail.com or 208-874-7551 for a free consultation to decide how we can best to serve your needs. 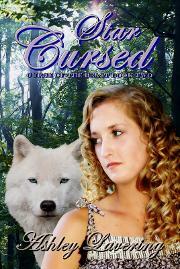 I am excited to announce the publication of my client Ashley Lavering's 2nd novel Star Cursed: Curse of the Beast: Book 2 I was blessed to work with Ashley as her editor and cover artist for book one and editor for book two. This modern Beauty and the Beast retelling has a unique werewolf twist. Once you pick it up, you won't put it down! Check out the trailer below for book 1, or click on the cover to purchase it from Amazon. (Also available through many other vendors on Goodreads and Ashley's Personal Store). Due to the drastic changes in the writing market recently and the continued sluggishness of the economy, I have chosen to significantly REDUCE my prices for MANUSCRIPT REVIEWS. My goal has always been to serve up-and-coming writers, indie or traditional, in their pursuits toward publication. I hope that you will find my new prices more affordable. Dust off an old project you've been hiding in your closet and send it on over! Space is EXTREMELY limited. Thank you for your continued support of Mystic Manuscripts! I have a bachelors degree in elementary education with an emphasis in English and vocal performance. I have been published, and continue to write my own articles, novels, and other random blog projects, so I understand your desires to have your work polished to perfection. I am also a graduate from the Institute of Children's Literature in their magazine writing course and am currently studying advanced novel writing. Currently, I work as an interview journalist for the Mormon Women Project. I am also an active review/critic for Book Country. Check out my profile under Jessica Drollette for examples of reviews I've done for manuscripts on the site or check out Mormon Women Project to read some interviews. 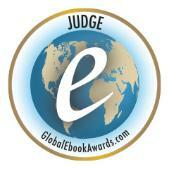 I am also a judge this year for the Global Ebook Awards, which will be a wonderful experience, I expect! If you want to enter, please do so before the deadline on April 30th, 2012. Early entries are highly ENCOURAGED! Thanks. You can also find Mystic Manuscripts on Yellow Pages and read my clients' feedback.